My love for Aldi has grown over the years. It’s still not my favorite shopping experience, but there are so many good reasons to shop at Aldi that I can be found there every single week! I’ve tried some new products recently, so it’s time to round up a few of my favorites! From what you all tell me, my area stores have some of the lowest Aldi prices anywhere. Hopefully you’ll be able to find these items at a similar price point! No matter what, make sure to shop around if your town has more than one Aldi – you will likely find varied prices between stores. 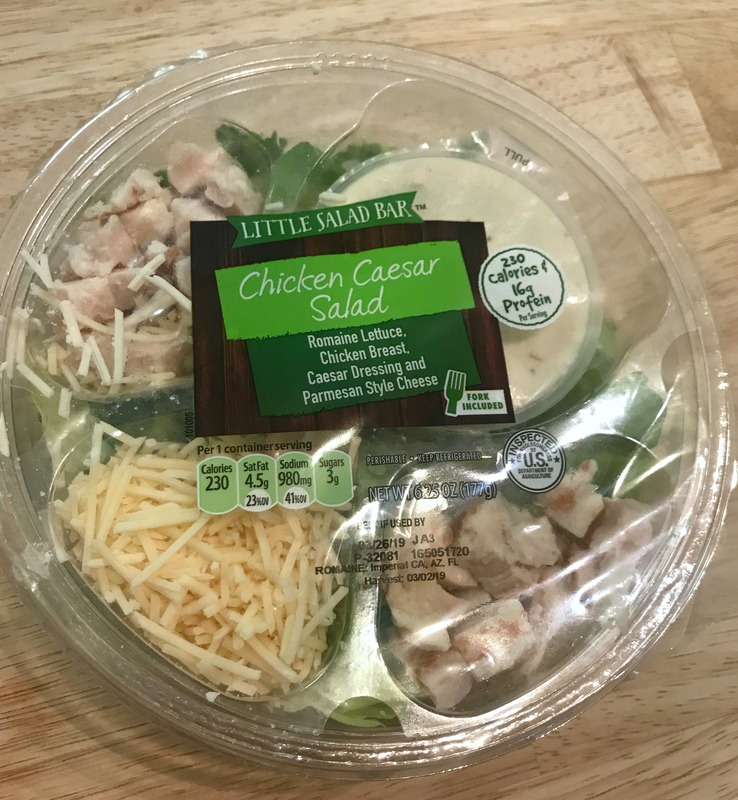 #1 Little Salad Bar Pre-Packaged Salads ($2.88) – For a couple years I’ve raved about Walmart’s pre-packaged salads, and these are very comparable! They are not as large as the ones at Walmart, but it’s so convenient to pick them up along with all my other groceries. They have at least four different varieties – some with meat, some with a carb like pita squares. 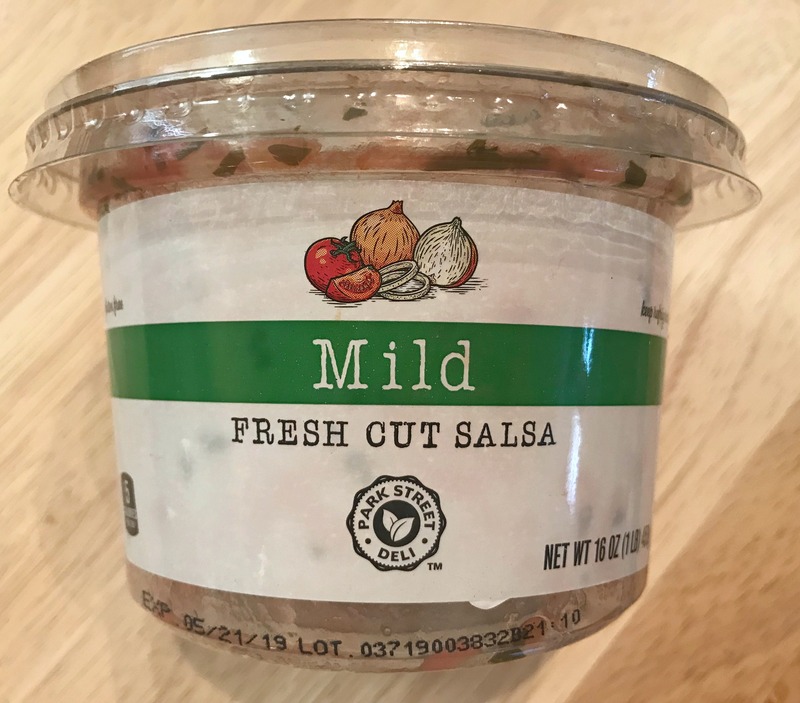 #2 Mild Fresh Cut Salsa ($2-3) – I’ve purchased this in the past. but had forgotten how good it is! I love this salsa in my two ingredient guacamole, in my go-to taco casserole or (of course!) on tortilla chips. 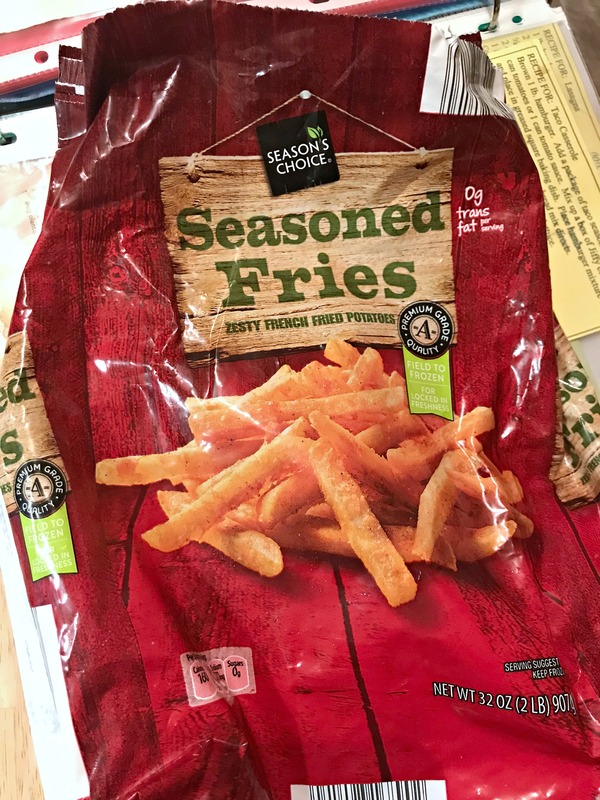 #3 Frozen Seasoned French Fries ($1.79) – I couldn’t believe that this 32 ounce bag of fries cost less than $2! These are the best frozen french fries I’ve purchased in a long time. They are seasoned really well and are just delicious! 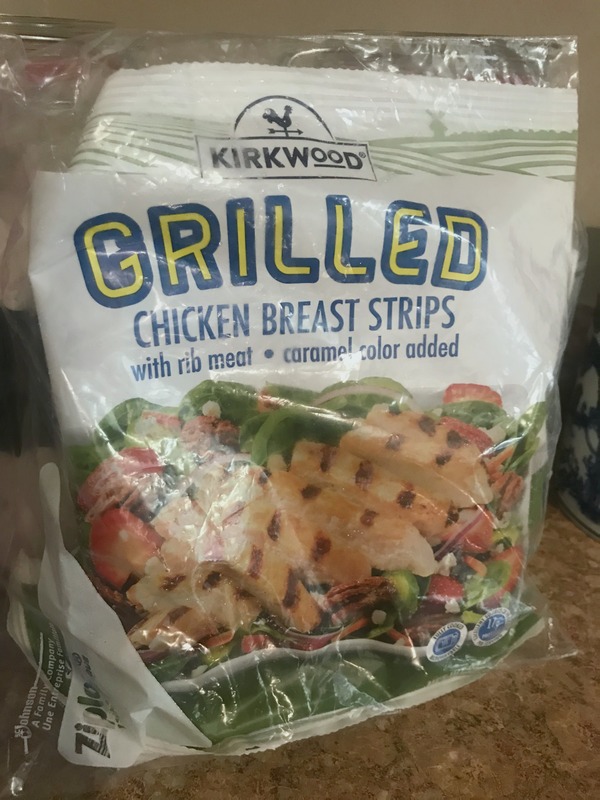 #4 Frozen Grilled Chicken Strips ($6?) – This isn’t something I keep on hand all the time, but it is helpful on a busy week when I don’t have time for meal prep. These are better than a more expensive brand I bought at the local grocery store (can’t remember what it was – not Tyson). You just throw them in the oven for about 12 minutes and they come out nice and browned as if they were freshly cooked. I like these for grilled chicken salads when I need a healthy lunch option. #5 All the Benton’s Girl Scout Dupe Cookies! 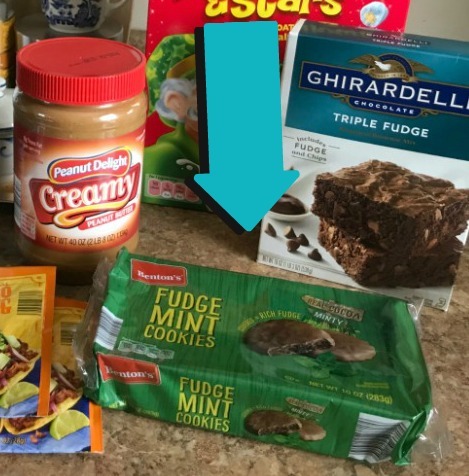 ($.98) – We love their fudge mint AND the peanut butter fudge cookies. They’re dangerously similar to Girl Scout cookies, and at such an affordable price! I had to pull an old picture for this post because we’re currently out of them. Ha! Paul and I did a blind taste test to compare these with the real thing – you can watch it here to see what we discovered! If you want to see what I bought at Aldi this week, watch the grocery haul below! Hosted By: Tif from Bright on a Budget, Della at Della Devoted, Becky at BYBMG, Whitney J from Polka Dotty Place and me! 🙂 What is High Five For Friday, Anyway? Click here to read all about it! 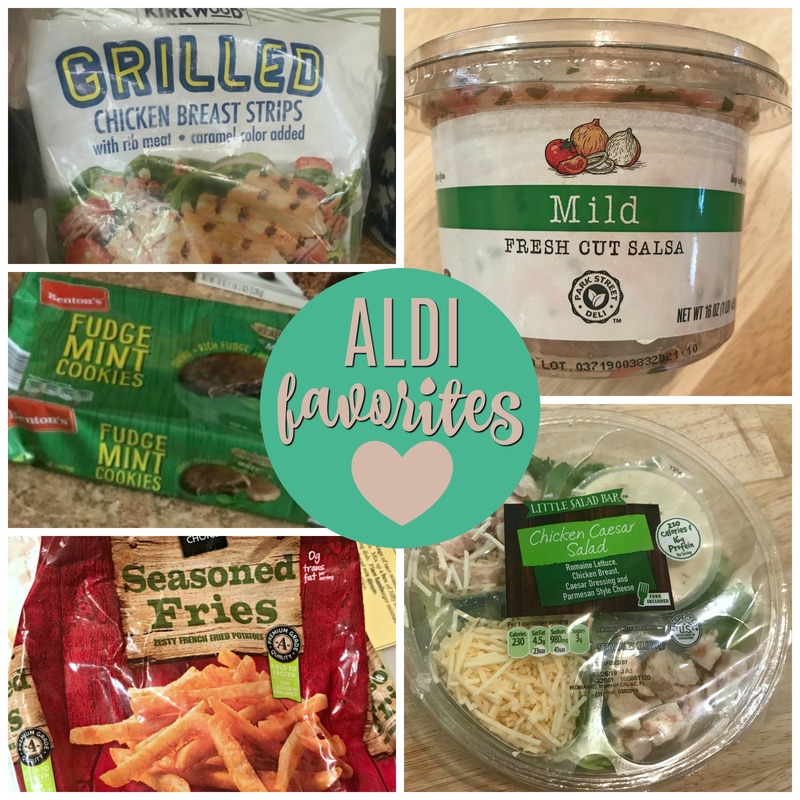 I love sharing my Aldi favorites, too! It’s such a fun store – thanks for inspiring me to finally give it a try a couple years ago. We’ve really been enjoying trying their meats – ground chicken was yummy and their cheese section is amazing. I am going to look for those snack packs you mentioned, fries and for the chicken. I’m not sure I’ve ever noticed either of those in my store before. I’m glad your experience with Aldi has been so successful! I love seeing all the things you try and enjoy! Yes you do!! ☺️They have good stuff!